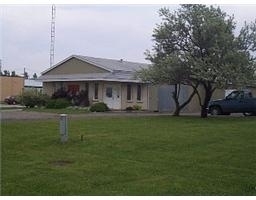 Located close to St Thomas bypass allowing east access to the 401 and London. The building offers 3 offices, 2 bathrooms, loading dock, grade level. Loading has 22 & 16 foot clear height. The building also offers an enclosed compound at the rear of the building in addition to ample parking. Also available to rent at $4,000 per month including all additional rent.